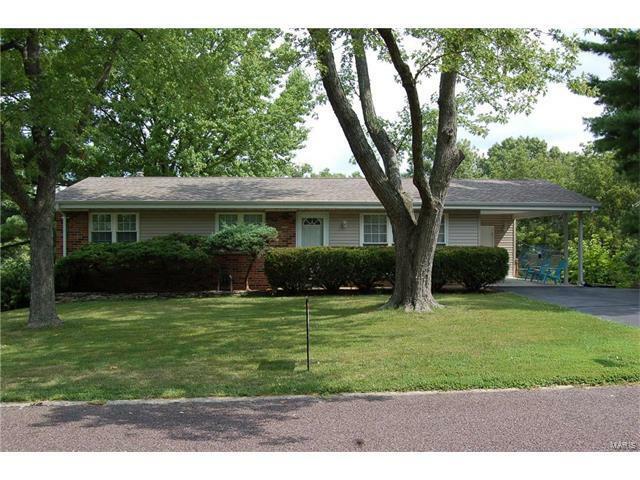 Well-maintained ranch home in Parkway School District. Walking distance to Craig Elementary. Refinished hardwood floors throughout the main level. Some fresh paint. 3 bedrooms all with ceiling fans. Walk out of the master or dining room onto the deck overlooking a large flat yard and common ground behind. Updated kitchen with tile floor, new dishwasher and disposal. Walk out basement has rec room with bar area, sleeping area, full bath and lots of storage. Roof, gutters & siding (2012), AC (2013), updated electric panel. Double wide driveway & carport with storage area. Seller is offering a Choice Home Warranty. From 270 east on Olive, north on Craig Rd, east on Barkman.